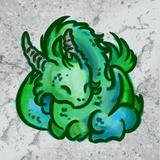 A blog entitled Princess of Dragons, it is of course going to be filled with DRAGONS. I try to give you a dragon post once a week, normally on a THURSDAY. Why? Because Thursday’s are awesome. In April 2014, I undertook the A to Z Blogging Challenge with the theme Dragons. Here is a list of my themes, from a to z. Very nice blog. Being a artist that paints dragons often, I enjoyed your articles on dragons. It was fun to find your blog and thank you so much for mentioning my (pale blue) books ‘Jonah and the Last Great Dragon’ that you saw in Norwich Waterstones.in early July. If you do read them, you will find all the Welsh Border dragons, including Mordiford. But he lives in Herefordshire, not Hertfordshire! He’s quite upset about that as he thinks there is nowhere like his lovely Haugh Woods above Mordiford. As well as the Red Dragon and Mordiford, I also have in the second book the dragons of Stinchcombe, Llandeilo Graban, Bromfield, Wormbridge, Deerhurst, Newlands and Brinsop. Brinsop is just along the road from where I live and it is, in local legend, the place where St George fought the dragon. There is a very old carving on the church wall, showing the battle. There were a lot of Romans in the area, and George was a Roman soldier – though he came from the Lebanon they think, so it isn’t so surprising that it’s one of the places that ‘owns’ the legend. Unfortunately there is a problem with my website and I can’t get in to write or edit. It’s really out-of-date and I shall have to have a new one.